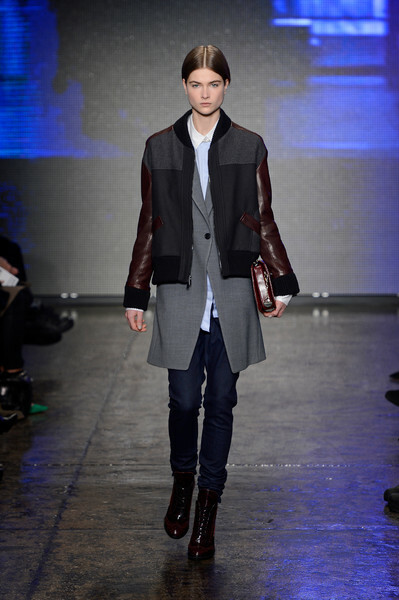 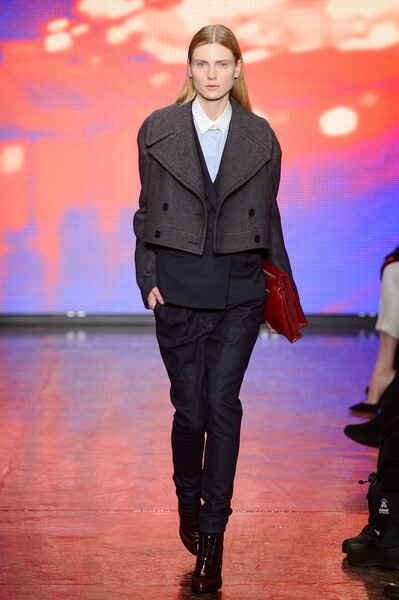 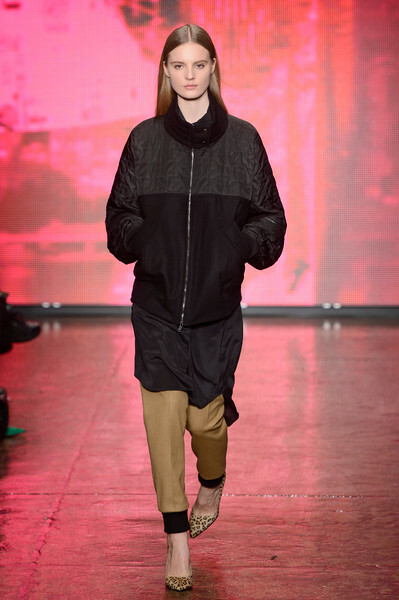 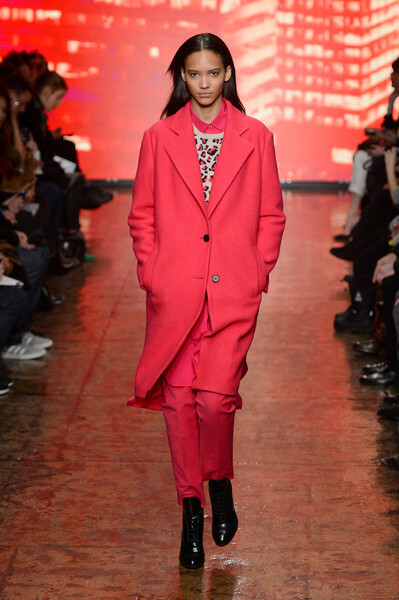 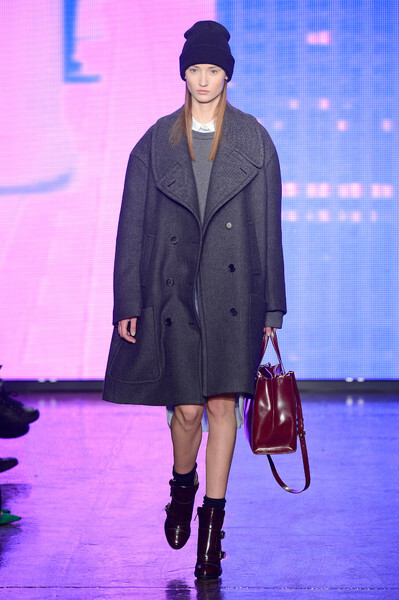 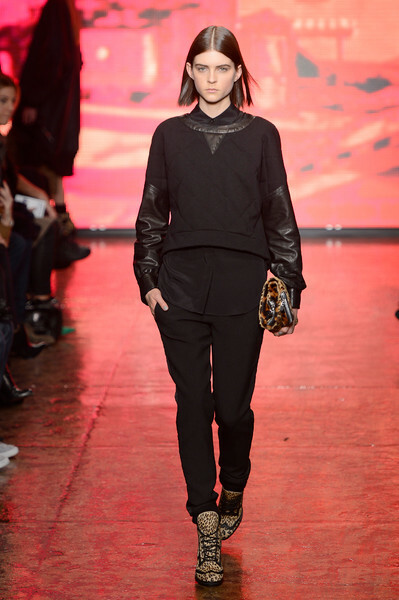 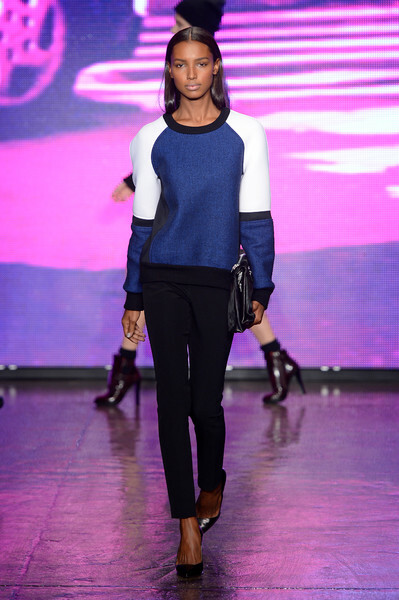 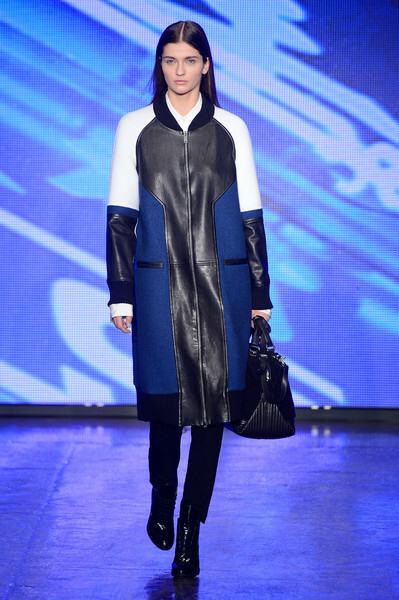 The DKNY Fall collection presented several of the label’s iconic items, including an oversize quilted bomber. 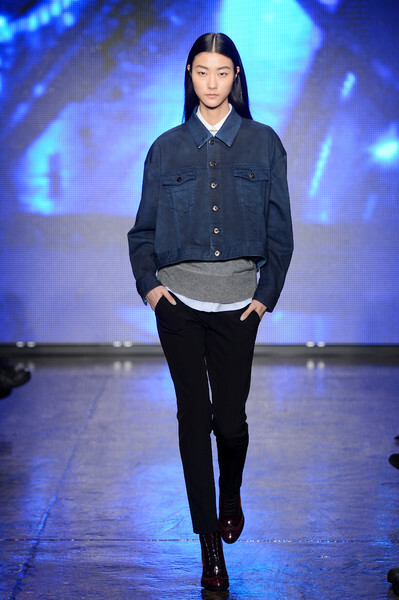 It once represented “street style” when the term actually implied a little grit. 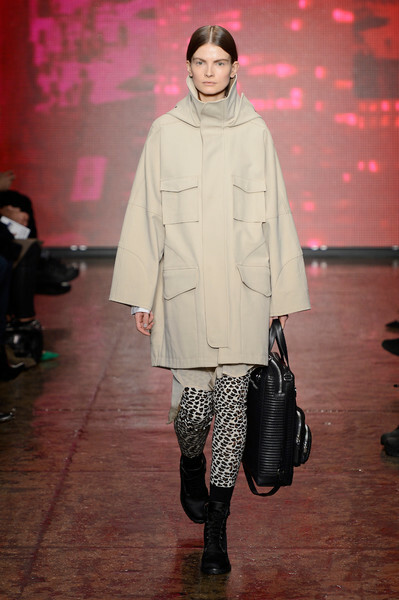 Urban outfitting was the focus this season. 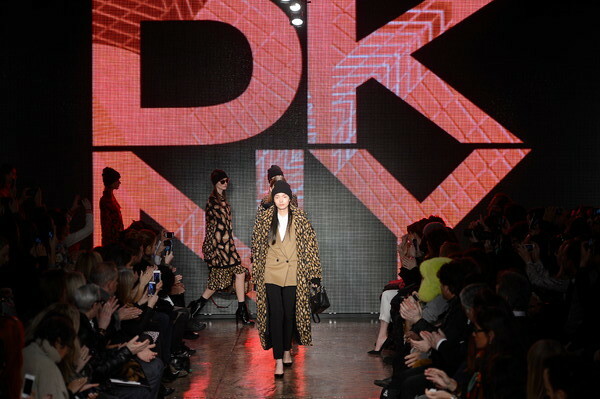 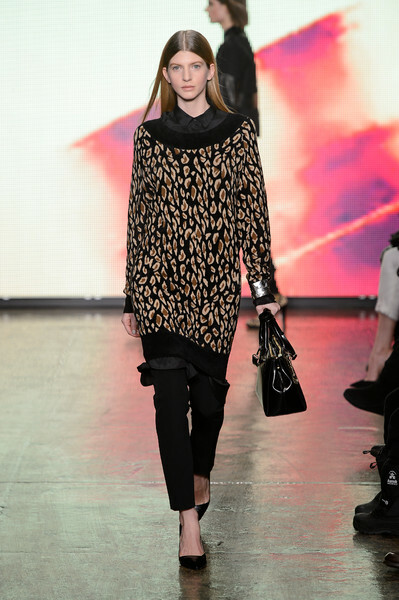 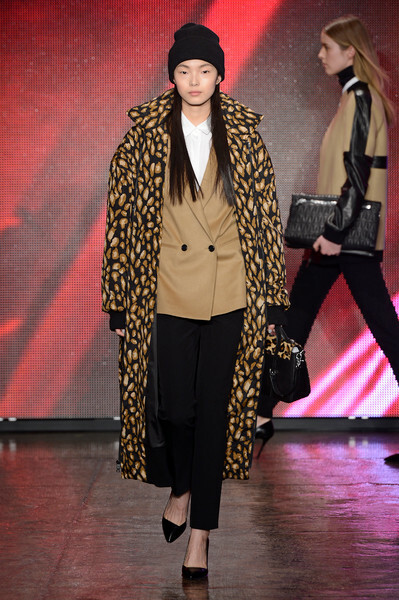 Oversized parkas and sweatshirts were featured, as well as fun animal prints. 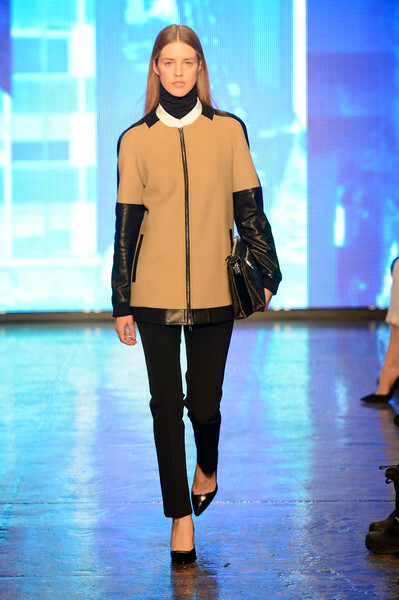 Karan also added large rounded shoulders to her silhouettes, particularly on structured mini-dresses and tops that combined multiple fabrics including Neoprene.